· THE LUNGS: Resistance to airflow and high pulmonary blood pressure are known to cause lung bleeding. The lung tissue that separates the airways from the blood vessels is extremely thin- 1/100th the thickness of a human hair. This ultra-thin membrane makes for efficient oxygen and carbon dioxide transfer, however, it also makes the membrane very fragile and it can rupture when exposed to high blood pressures and the enormous suction-like airway pressures generated during intensive exercise. This is referred to as exercise induced pulmonary hemorrhage (“EIPH”). Numerous studies show that essentially all exercising horses experience some degree of EIPH during intensive exercise. 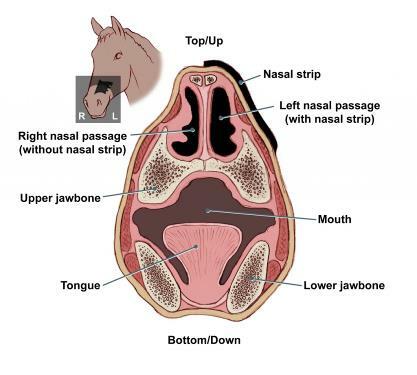 However, less than 5% of these horses show blood at the nostrils. Symptoms of EIPH may include poor performance, coughing, extended cooling-out, and frequent swallowing. 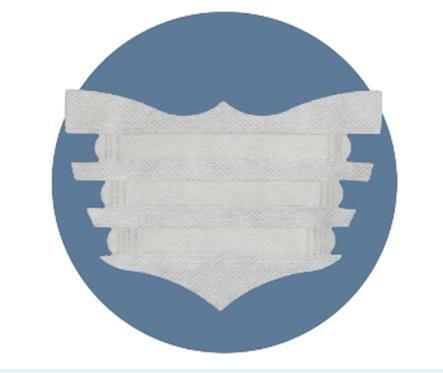 Moreover, each incidence of EIPH contributes to scar tissue formation and further bleeding. The lung damage from repeated episodes of EIPH can shorten a horse’s competitive career. · BREATHING AND STRIDE: Horses are unique in that at the gallop, breathing and stride are linked. Horses take a single breath with each stride. At speeds beyond a hand gallop, a horse increases its speed by increasing stride length, not by moving their legs faster. When the horse lengthens its stride to increase speed, it also takes deeper, longer breaths providing the lungs with more air. A horse struggling to move air in and out of the lungs may shorten its stride and fatigue quicker. Conversely, when a horse breathes easier, stride adjustability or lengthening is easier.